It’s Time to Free Yourself from Data Caps! If you have Internet with data caps you could see: (1) more fees on your monthly bill; (2) an internet connection that suddenly becomes much slower, a process known as throttling; or (3) the loss of internet service altogether. Most internet service providers provide data plans or data caps. Data caps are primarily a means to garner more fees from clients. 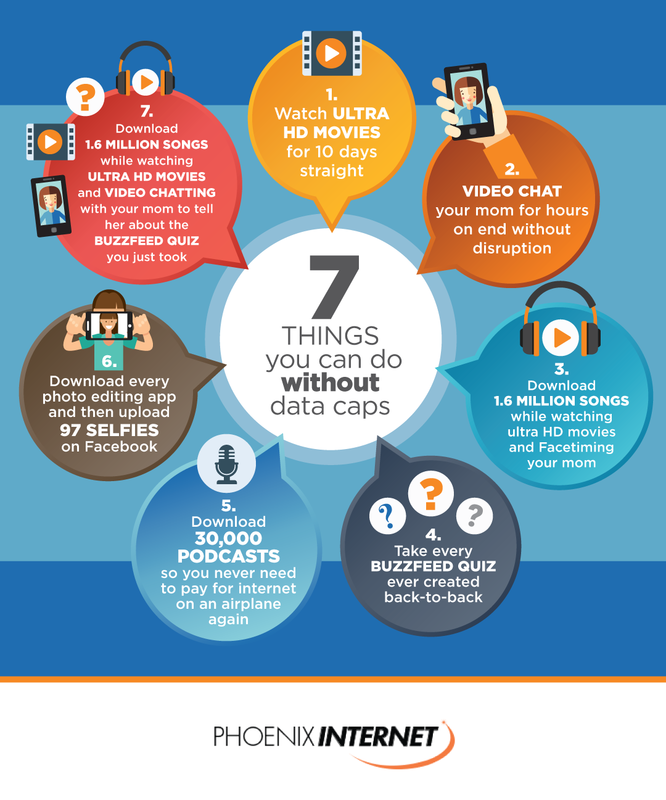 At Phoenix Internet, we offer high speed internet service without the restriction of data caps. We want to make your life easier and ore profitable in whatever way we can. At Phoenix Internet, you get what you see: quality, excellent customer service, high-speed internet, and no data caps.